Today, the Daily Wire's editor-in-chief and Conservative commentator Ben Shapiro laid into CNN's Brian Stelter for his network's shoddy coverage and blatant media bias. In an interview well worth the watch, Shapiro pointedly laid forth the problems that plague the mainstream media. "Where do you see the most egregious media bias right now?" asked host Brian Stelter. 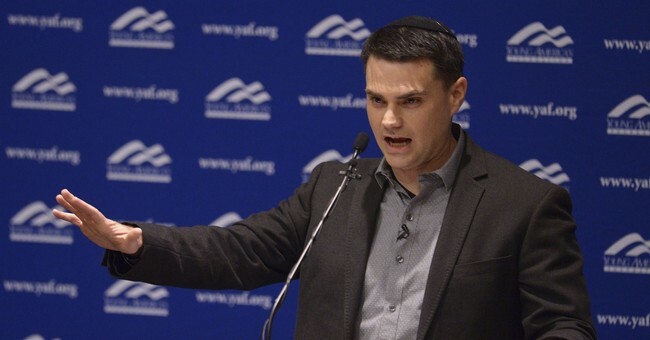 "Well, over the last three weeks, obviously, the coverage of the gun debate has been absolutely egregious," Shapiro responded. "I don't want to single out your network, but CNN has been pretty bad on this, from a conservative perspective. The idea that, when there is a mass shooting, that the media feel the necessity to put on TV not only survivors, but specific survivors, that there is a certain subset of survivors who make it on TV a lot, a lot, and there are certain other survivors who don't." "And that they decide out single out certain events and not other events in order to make a particular case, or they allow certainly people to go on TV and suggest that folks like Dana Loesch or people at the NRA are evil, don't care, they are terrorists, and there's no pushback from the anchors?" he added. "This sort of thing makes a lot of people on the right feel that the media are really using this as an opportunity to push gun control, rather than objectively covering the legislative efforts that are going on in Washington, D.C."
Stelter then asked what, in Shapiro's mind, would be a reasonable balance of coverage. "So, your view is it should be 50/50? Even if most of the students are urging gun control measures, you want it to be 50/50 or...," Stelter asked for clairifcation. "No, I think 80/20 would be fine. Anything but 95/5 would probably be a good thing, and I think it's also pretty obvious that -- listen, everybody -- this is my opinion about journalism -- everybody in journalism has their own political views," responded Shapiro. In an attempt to rebut Shapiro, Stelter questioned whether advocating for fewer gun deaths is actually political. "But is it political just to want fewer gun death? That's not political," Stelter interjected. To that extent, Shapiro showed Stelter how he was misunderstanding what Shapiro and many other Conservatives argue regarding the media. "Well, obviously, it's not political to want fewer gun deaths. Nobody wants more gun deaths. I think that what is political is allowing certain people to go on TV, and without any sort of follow-up question say things like their political enemies don't care about human lives. Like, I remember CNN got very upset when Dana Loesch said at CPAC that people in the media didn't care enough. "CNN doesn't get upset. Certain anchors or reporters may challenge something. That's not a network-wide thing," Stelter said back in defense of his employer.